Well here we are, in June, with a few days of sunshine behind us and still hoping for proper summer to arrive. We spent some time in France last month, chasing the sunshine, and we had a some really lovely days out, particularly when we visited Mont Saint-Michel, and we saw some lovely Chateaux in the Loire Valley. Where have you been with your toddler? This is the linky for you to share your posts when you’ve written about going on a day out with a toddler. I’d love to see where you’ve been on your days out with a toddler – did you visit the zoo or the park? Did you go trekking through a forest? 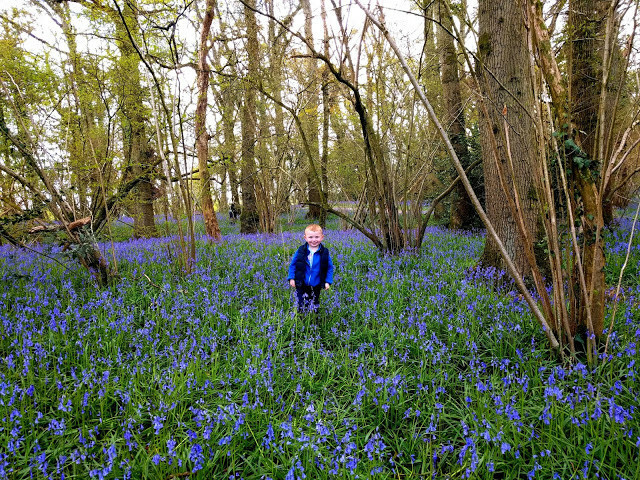 Or maybe you ventured out on with the rest of the family at May half term? I really enjoyed all the blog posts linked up last month. There were no less than four bloggers who visited steam trains in some way or another – every toddler’s favourite day out? If you missed any of those go and check them out, especially if your little one loves trains. My favourite post was Entertaining Elliot’s bluebell carpet, in Pamphill in Dorset. I think bluebells are a bit of a declining feature in woods and they are so special and took a part in so many people’s childhoods. I’ve seen so many people asking on local Facebook groups if anyone knows where there are any bluebells. What a shame it would be if we couldn’t share them with our children in the future. I read that the National Trust were going to charge people to see bluebell carpets after people didn’t respect the flowers! I’m joining in with our trip to Parc mini-Chateaux in Amboise, Loire Valley. The Parc is home to models of all the chateaux in the area as well as some fun activities for children (with a castle-y theme). The linky is open from the first Saturday in each month for two weeks – plenty of time to join in. If you’d like to be added to the reminder list, send me a tweet or write a comment below and I’ll give you a shout each month. It’s been a while since my child was a toddler but I remember taking him to the zoo and a beautiful sculpture garden (http://www.groundsforsculpture.org) I waited until he was four to take him to New York City. I was always afraid of him being kidnapped, although that is a bit much! Stopping by from the linkup! The gardens really do look beautiful – thank you for sharing the link. The fear of him being kidnapped is very interesting – did you hear of other people being kidnapped around the same time? Love that so many kids love trains – ours does too!